Over the years I've had a lot of different reasons why I write this here blog. The one that has remained constant, however, is that writing it preserves memories of my family and our lives that would be lost completely if they weren't written down. That is why every year I print out all of my posts and put them in binders so someday it will be easy for me to reread them—or even better, for my kids to read them. Since I've been on Facebook though, I've put so many of those perfect little moments that capture my kids and their personalities there instead of on my blog. I've been trying to think of a good way to capture all of that. It turns out it is really easy. I looked around online and found My Social Book. (This isn't, by the way, a sponsored post. My Social Book knows nothing about me.) This service will take your timeline and put everything posted onto it into a book and then ship it to you in a few days. The way I use Facebook, this was perfect for me. 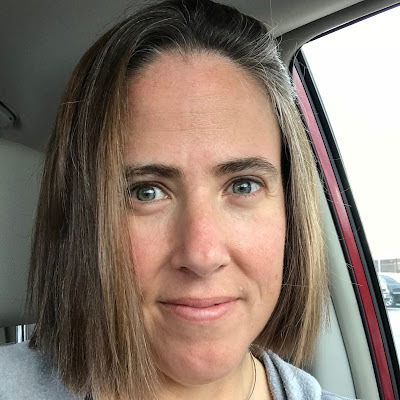 I tend to mostly post photos and anecdotes about my kids, so these will function kind of like scrapbooks without me having to remember everything and put it in an album by myself. I ordered books for my personal profile and also for my Stimeyland page. They came in the mail this week and they are the greatest things I have ever seen. They are so pretty. I love them. 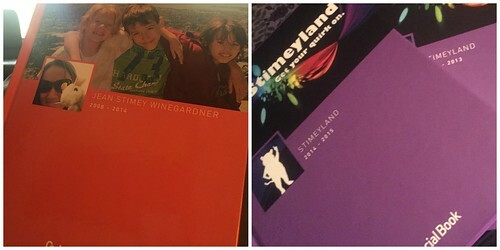 Each book can only be a maximum of 500 pages, so I had to split both my profile and my Stimeyland pages into two books each. Now that I have up through 2015 done, I plan to make one for each year from here on out until I stop caring. They include posts, photos, photo albums and captions. If someone say, posts a photo of you on their timeline and tags you in it, it won't be printed. But if someone posts something on your timeline, it will get printed, which means I have lots of posts featuring that tiny hamster in that tiny sweater that people keep sharing with me. (It's super cute, btw.) It also features just a few happy birthday wishes from each year. You can choose to include comments or not and you can choose a maximum number of comments to display if you want to. There is also a QR code for each link you've posted, so you can see the content of those links on your phone. The books are nicely bound and printed on nice paper. The photo quality generally seemed pretty good, but not fantastic. Some of them I couldn't tell if the quality was the photo's fault or the book. But since I am making photo books of my actual photos, I don't need the photos in this book to be perfect. The comments are also sometimes not in the right order and it looks like some of them are missing. So the books aren't perfection, but for what I wanted them for, they are exactly what I hoped they would be. They're super easy to make too. You just put in the name of the page or timeline, specify the years and what photo albums, etc that you want to include and it compiles it for you. Okay. That's all done. Now you know about the books. But you don't KNOW about the books. There are so many memories on this page alone. You guys, it has been amazing to read these books. I'd forgotten so much. Like how I took Algernon to jury duty and how Quinn calmly told me he hated me in an elevator full of people when I was praising him on being brave enough to go up to the top of the Empire State Building and, oh my God, how did we forget about that time we accidentally caught a feral cat in our van? Not everything is stuff I need to remember, but there are enough precious memories in there to make everything else not matter. The thing I didn't expect to rock me were the comments. 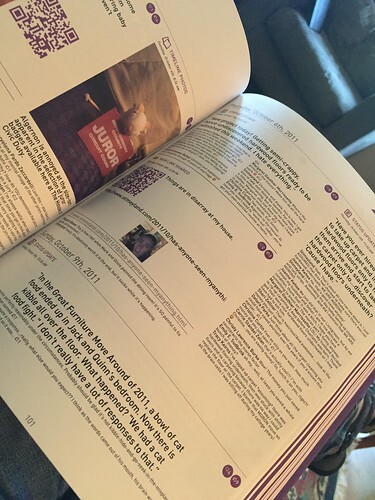 I started reading my timeline book and skimming the comments and found Susan in there. What a gift. I love these books. I'm really happy I bought them. I'm still not done looking through them and I've already found so much gold in there that they're worth every penny. Frankly, remembering how I used to be funny and prolific makes me want to write a lot more. Just thought you might want to know. Now you can consider preserving your own memories while I go relive mine. Thanks for the recommendation! I immediately went and ordered 2! If they are as good as I think, more are incoming. I love that the captions are included on photos, because I forget details like that. I'm so glad it's something you're interested in. I love mine so much that I just had to share. My favorite part are the photo albums of trips that I captioned. Great memories!